Has anyone in the St. John's area got an old, *still-working* BetaMax player to donate? MUN's Folklore and Language Archive needs one. 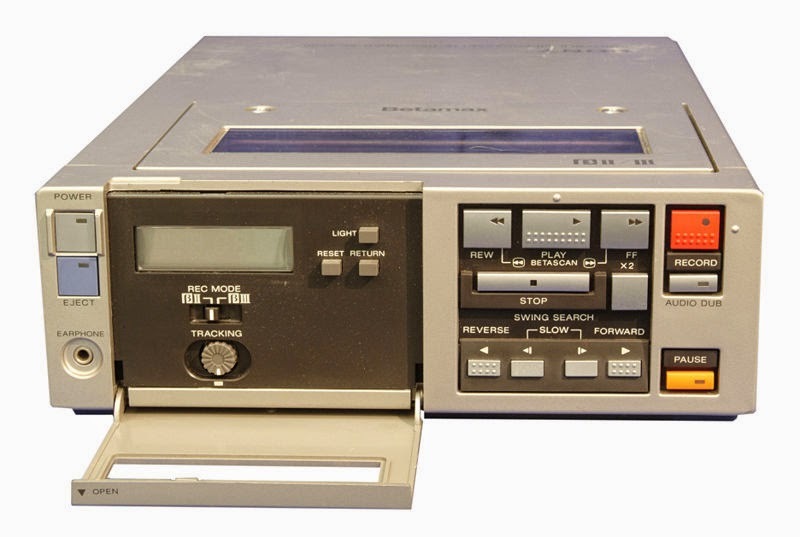 Beta was the Sony-developed competitor to VHS as a home-video format. Beta lost that war but many people kept using Beta machines for a decade or more, even after the whole videotape thing was washed to sea by DVDs. The Archive has the opportunity to copy some important videos from the 1980s and they are on Beta. The Archive's old BetaCord machine died this very afternoon. If you have a working one and are willing to donate it you can call Pauline Cox (Archivist) at 864-8401.